In the early 1970's, "Inner City Blues (Make Me Wanna Holler)" was the last of the three major and pop hits by Marvin Gaye that addressed social issue (following on the heals of "What's Going On" and "Mercy, Mercy Me (The Ecology)"). Again, it has a terrific uptempo beat, but the lyrics might be enough to make you depressed (much of what Marvin Gaye sang about social ills in the song still resonates to today) or at the very least make you "wanna holler". Marvin Gaye's, "Mercy, Mercy Me (The Ecology)"
The following up to Marvin Gaye's "What's Going On" was "Mercy, Mercy Me (The Ecology)" song that hit into the Top 10 of the charts on the second year after President Nixon declared the first Earth Day in April 1970 (that would be April 1971). In many regards Marvin Gaye was taking up the strains started by Rachel Carson's book about the environment, "The Silent Spring" from the early 1960's about stating what was happening to the environment, or what humans were allowing or doing to the environment, and in some respects Gaye is the precursor to former Vice President Al Gore's global warming advocacy (Al Gore probably was impressed with "Mercy, Mercy Me (The Ecology) and I wouldn't be surprised if Gore has the song programmed on his i-pod). It had an uptempo beat as did "What's Going On" but with all the ills happening to the environment it did leave one perhaps a little depressed, although hopefully wanting to do some action to solve the problems. In the late 1980's, Robert Palmer would cut a remake of the tune. 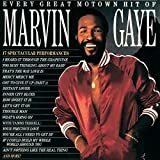 Marvin Gaye's, "What's Going On"
In the fall of 1970, Marvin Gaye decided to follow some of his fellow Motown artists (most noticably the Temptations and Edwin Starr) and record some socially conscious songs that addressed issues of the day. The first of these that became a #3 hit late in the year of 1970, was "What's Going On" that has an uptempo beat, but with the issue of the deaths occurring because of the Vietnam War it kind of gets maybe a bit depressing at times. Other artist would record "What's Going On" after Marvin Gaye's untimely death in 1984, with the most memorable coming from Cyndi Lauper in 1987 (Lauper also took the song into the charts).